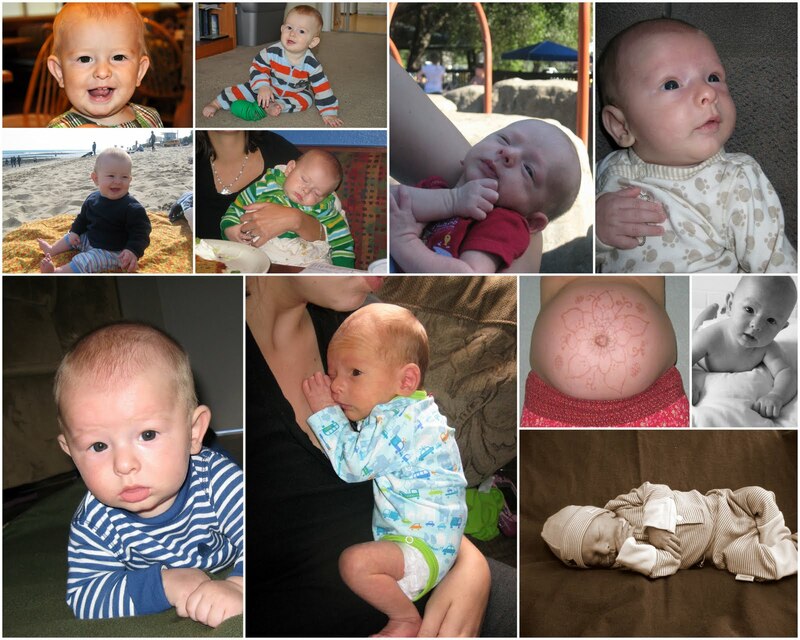 We Choose This Life: Happy Birthday Jericho Toren Amadeus! Happy Birthday Jericho Toren Amadeus! Your birth was crazy and scary. The first two weeks of your life were hard. I knew that a year later you wouldn't look like a preemie anymore. But, what I didn't know is how amazing you would be. Your smile brightens my day, seriously, it does. You are one and you could care less about food --- all you care about is your mama milk. You crawl, stand up, walk along things, say "mama", "dadda", "aidee" and a few other "words". You are a delight. Aidan would keep you all to himself if he could, Coda would play with you for hours, Téadora would become your mommy and Dillon would wrestle you forever. You are super duper loved little boy. The week before Jericho's birthday, I looked at Nick and said, "what do you do for a one year olds birthday?". Usually we are around lots of family, so we have the traditional one year old birthday party, which isn't really for the baby, but for the the family and the photo opportunities. Being on the road our birthdays have looked a little different, because its just US. We ended up going out to Sweet Tomatoes, a salad/bread/soup/pasta all you can eat buffet. We had been wanting to try it out, so we thought it was the perfect opportunity.